Several years ago I was inspired by Connie’s Graham Cracker Gingerbread Houses. Since reading Connie’s fun idea, I’ve made making these Graham Cracker Gingerbread Houses a tradition at our house too. Join me now for this SO FUN Graham Cracker Gingerbread House + Royal Icing Recipe on YouTube! 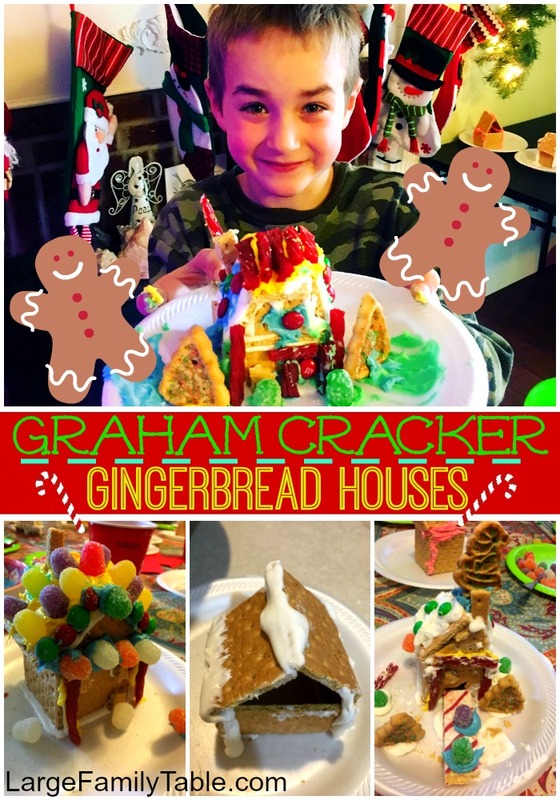 After many years of making these Graham Cracker Gingerbread Houses with our family, we decided it was time to share the fun with friends. We had our first Graham Cracker Gingerbread House decorating party just a few days ago. I had every family bring a few bags of candy to share. We had a potluck style lunch, lots of play time, and then the kids created their special houses for almost an hour. Afterwards, we went on a nice long forest hike on our trails to help work out the sugar-induced energy, ha. Today I show you exactly how we make these sweet treats! Click here to watch the full Graham Cracker Gingerbread Houses + Royal Icing Recipe!